Remember the Zune that Microsoft put out some years ago? I loved my Gretchen II. I took her everywhere. She could hold like 750 albums in a package that was just over the size of a deck of cards. I fully embraced the MP3 player revolution. I LOVED being able to take that many albums with me just about anywhere. And with the Zune music subscription, I could sample anything for like fifteen bucks a month without the risks of plunking down ten dollars on each CD to find that it’s total crap. The subscription was more reward with no risk. I LOVED it! Then there was the switch to Groove and the ditching of Zune. It totally made my Gretchen II useless. It sent me into a deep dark depression for a few days. I cancelled my subscription to Zune, ah, Groove. I started looking for alternatives. There was one alternative right before my eyes. It was part of the DirecTV package that we had. So, I tried Pandora. I hated it within the first 30 minutes. It was playing what it wanted to play even though I gave certain songs the “thumbs down”. And it KEPT PLAYING songs by those bands. It was maddening so I ditched it. Our friend Melissa gave me her daughter’s iPod. I have had my issues with Apple products. 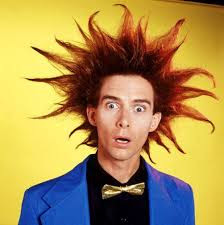 Every time that I deal with Apple stuff, I end up with jacked up blood pressure and Yahoo Serious hair. But I NEEDED to hear what I wanted in a random play format without some computer or programmer telling me what I didn’t want to hear. But the iPod was just a Band-Aid on my problem that brought me more problems like jacked up blood pressure and Serious hair… again. When the Chigs and I moved to Davidson County, I checked out Spotify. I started with the free version with commercials about every 30 minutes. Even with the commercials, I loved it. I made a couple of playlists right off the bat. I even made one for our wedding that was a month away from the day we moved into our new digs. I saved the free trial week of the non-commercial premium version of Spotify for the week with our wedding day right in the middle. We even used Queen’s version of the wedding march from the ‘Flash Gordon’ soundtrack. But being excited about our big day and the party afterwards, we totally forgot about playing the wedding mix. We just went with the “Big House Mix” where there’s a little something for everyone. Well, ya know… The “Big House Mix” isn’t about just you. Sure, I put most of the music on it. I try to cater to anyone that may come over to our house. My friend Hinzy was totally digging it when he came over with his soon to be wife Karla and her cousin Todd. And it seems that the MIL only wants to listen to old country or Chris “THAT’S MY MAN” Stapleton. The funny thing is when Stapleton or an old country tune plays randomly, she has usually just gone inside for a beverage with A-Rita in its name. It has become a running joke around our house with our usual cast of drinking buddies. Anyone that follows the “Big House Mix” playlist and comes to our home is welcome to put their favorite songs on that playlist. There are ONLY two rules. No songs with explicit lyrics (songs that aren’t FCC acceptable because some people have children or they just don’t want to hear “the filth”) and no songs over 7 minutes. Bait added one that runs almost 12 minutes, but we left it on there because it’s a jam that’s mostly instrumental that you don’t really notice. My Spotify playlists have become my own little bonsai tree forest. 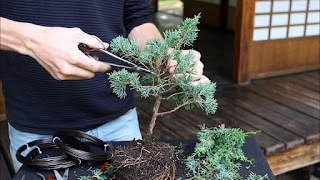 I cultivate and trim my little trees every day. It’s an obsession. And lately my obsession has been the “Yes Virginia, it WAS a Top 40 Hit” playlist. That little tree of mine is growing and growing. I add to it every day. And when I pull my random CDs for the coming week of listening pleasure in the truck, I add songs to that playlist from the year the albums were released. It gives it a certain randomness. I started adding songs to it from when the charts were first being kept with the best sellers in 1955 and I’m currently deep into 1957. And every week when the new chart comes out from Billboard, I add the new songs. Not all of them get on because I used the clean edits. That’s because I enjoy blasting that playlist around the pool and some guests don’t care for “filth”. I make it available to anyone that wants to listen to it and I’ve found quite a few people that really enjoy it. And my other little tree is my “Random Play Exploration” playlist. I add 3 catalog titles and 4 new releases to it every Friday. I keep a notebook that the playlist feeds off. And I use the playlist to add 6 titles from my random CDs for the week and one of those artists gets a bonus album added. Ya know, just in case they have an album on Spotify that I’ve never heard or own. And when I listen to the “Random Play Exploration” playlist, I will delete the songs that I hate and add songs to other playlists. The playlist is capped at 4,000 songs (the others will go on to infinity) so it's totally being refreshed with new stock while the old goes away. I’ve also gotten into the practice of adding the Top 10 songs and Top 10 albums every Wednesday to the “Random Play Exploration” playlist. I do it to try to stay current. I even add things that I don’t like or know that I won’t like. I don’t want to embrace the old mandom habit of being stuck at a certain place in time and declaring that there’s no good music being made today. I find LOTS of new music being made today that’s excellent. And with the monthly subscription, what’s to lose if I don’t like it? I just delete and move onto the next song. It’s a win-win situation for me. Spotify allows me to basically use them on my Amazon Fire tablet as my personal MP3 player. I love Spotify and I shameless suggest using the service to just about everyone that I know.